You might have come across high resolution images which are too big for a single slide and have a lot of extra space that you might want to get rid of to single out the essential parts of the image. 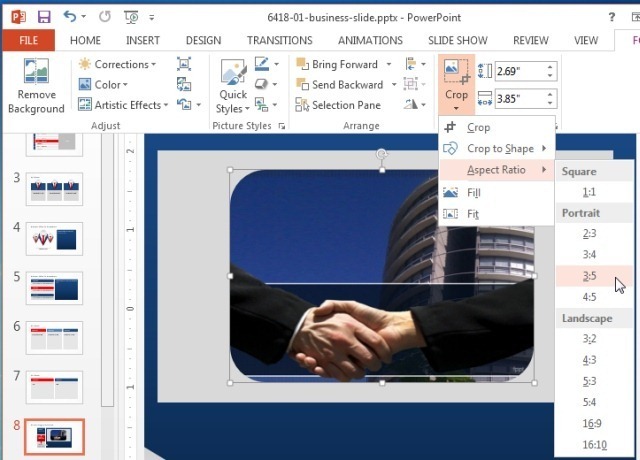 Luckily, you don’t have to be an expert at using PhotoShop or other image editing tools as you can crop and even reshape images easily in PowerPoint. 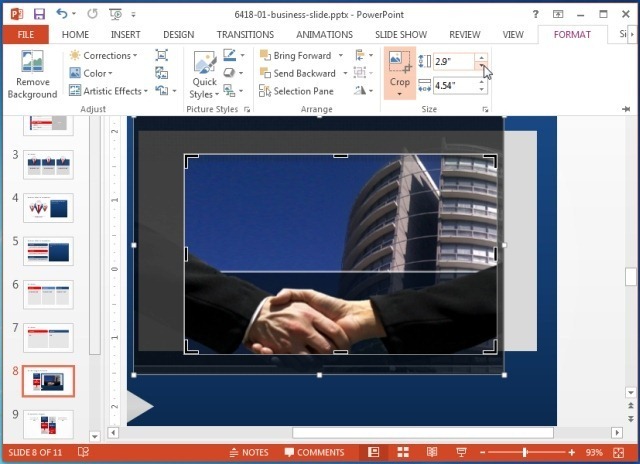 To crop a picture in PowerPoint 2013, click the image and navigate to Picture Tools > Format > Crop. 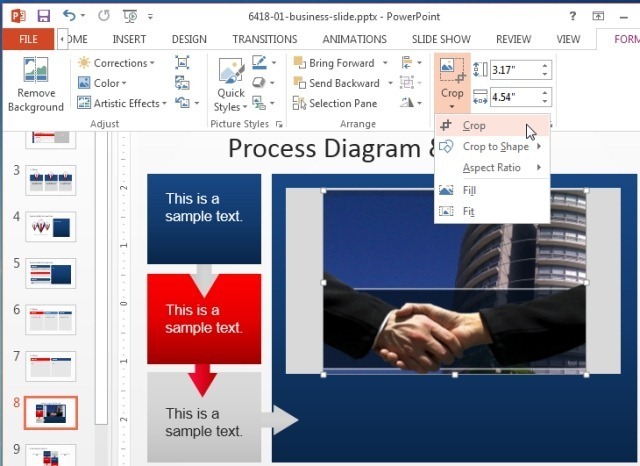 As you can see from the screenshot taken using the Simple Business PowerPoint Template; when you hit Crop, you will be able to single out the area you wish to keep with the help of the given cropping handles. Just drag these handles from different directions to single out and select the part of the picture that you wish to retain. The shaded area will represent the part that will be excluded from the image. Once you have selected the required area, click Esc to save the changes. Tip: To crop a picture to equal size, hold CTRL when cropping the image. 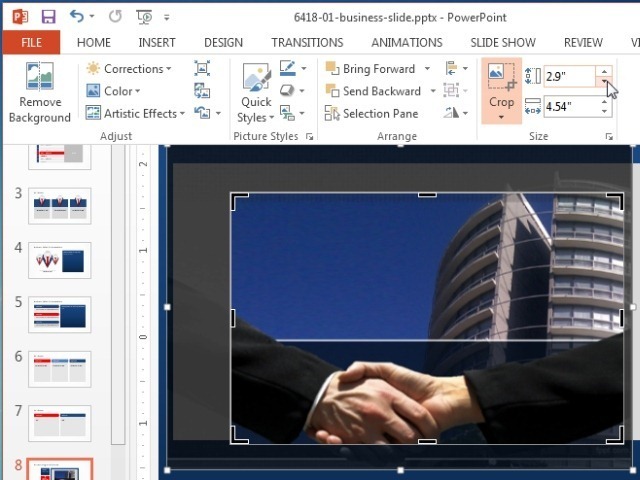 You can also crop images by defining an exact height and width to crop out using the Height and Width option from the Format tab (as shown below). 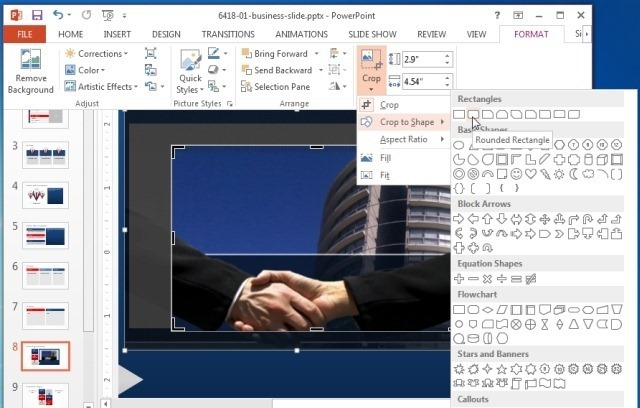 You can crop pictures to a specific shape by going to Picture Tools > Format > Crop >Crop to shape. 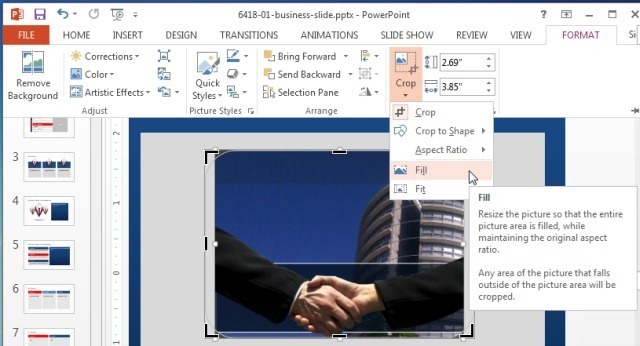 This option can enable you to stylize an image and also make it more suitable for certain types of frames which might exist in your PowerPoint Template. The below image shows the sample picture cropped into a shape. To crop a picture according to a specific aspect ratio, you can pick a Square, Landscape or Portrait orientation from the Aspect Ratio option within the Crop drop down menu. Selecting the preset ratio will immediately crop the image to it. You can fill a shape with the picture being cropped using theFill option. Alternatively, you can use the Fit option to set a picture size which may match the height and/or width of your selected shape. 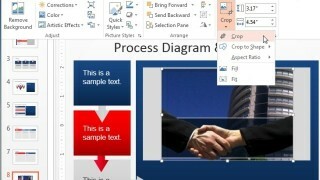 Both these options are accessible via the Crop drop down menu and are meant to respond to the cropping shape type you are using (e.g. square, circle, rectangle, etc). When cropping an image you might not get the desired results or might wish to revert the changes to go back to the original form and size of the picture. In such a case you can reset the picture via Picture Tools > Format > Reset Picture (or) Reset Picture and Size. 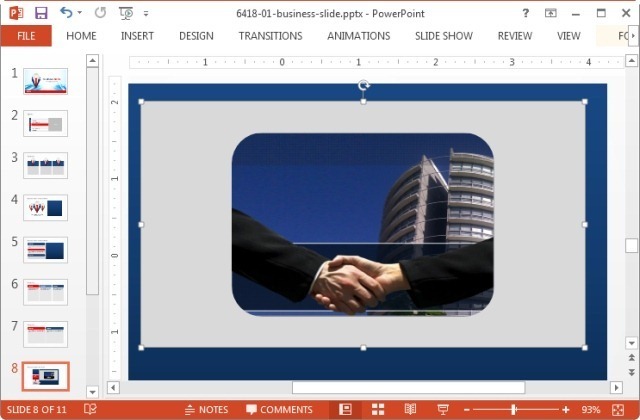 You can crop images to specific frames to showcase your ideas using high quality PowerPoint Templates. For more details, see this collection of High Quality Picture Frame Templates. 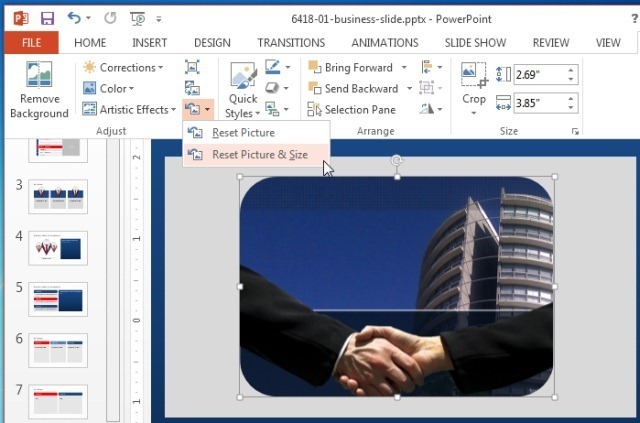 Also see our collection of thousands of professionally designed Premium PowerPoint Templates.